W. Eric “Ric” Blumhardt is a partner in the San Francisco office of Lewis Brisbois and a member of the Appellate and Insurance Coverage Practices. Mr. Blumhardt has been certified by the State Bar Board of Legal Specialization as a Specialist in Appellate Law. In his appellate practice, Mr. Blumhardt presents legal arguments cogently and concisely, crystalizing his client’s position in the simple yet compelling fashion appellate matters require. When his clients pursue their appellate rights beyond the trial court, he coordinates seamlessly with trial counsel to craft the most effective arguments to the appellate court. Mr. Blumhardt’s practice also encompasses providing insurance coverage advice and litigating disputes over coverage. He focuses on issue assessment and analysis, and manages the interpretation and litigation of most types of insurance policies, including commercial general liability, Employment Practices Liability, Directors and Officers, Errors and Omissions, and homeowners policies. 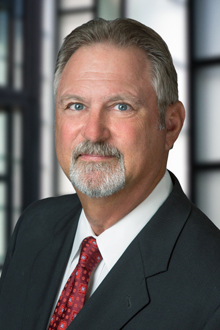 Over the years, Mr. Blumhardt has advised on and litigated many complex coverage disputes including, among others, those involving food contamination, environmental contamination and remediation, additional insured endorsements, construction defects, and allocation of defense and indemnity payments among multiple insurers.